Newly redesigned — Highly compressible, super lightweight secondary summit pack pared down to the essentials only. Newly redesigned — Pared down to the essentials, this go-anywhere alpine pack is for super-minimalists who make every gram count. 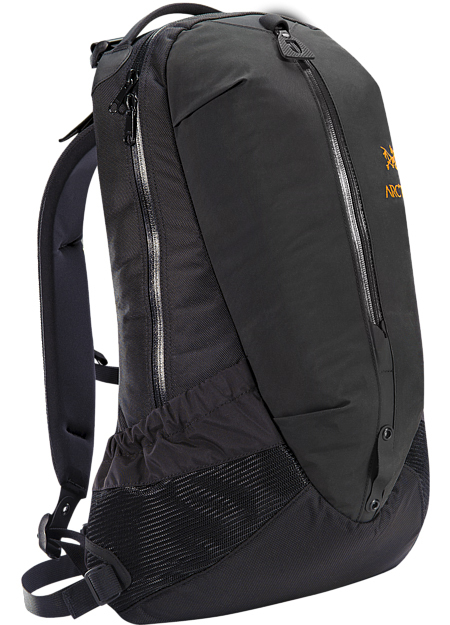 Perfect for light and fast blitzes from an alpine base camp, the entire pack stows into its lid pocket. The exterior elasticized shock cord lashing system also works to compress the pack's volume, ensuring a trim and tidy profile. The top-loading lid snaps securely in place with a single-point buckle. 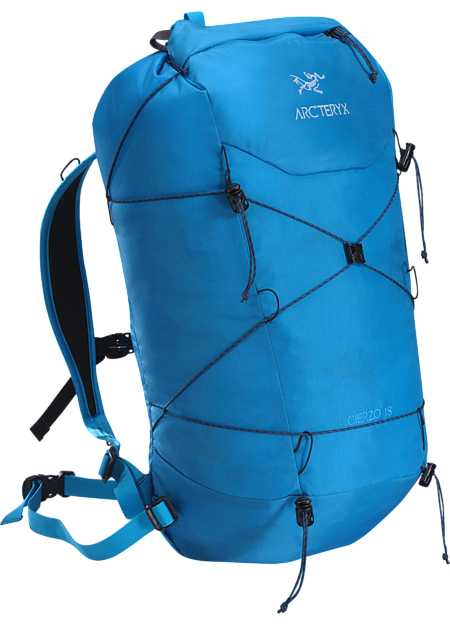 This pack is ideal as a secondary pack on alpine expeditions, backcountry treks, or kayaking adventures. Revamped and lightened up for Spring 2011, the smallest Cierzo now has a zippered closure for easy access to pack contents. Grams were further pared by going to unpadded, 1.5 inch webbing shoulder straps. The lightweight textiles are coated with silicone and polyurethane for moisture resistance and increased durability and the entire pack can easily be stowed in its front pouch.